Cellulite makes skin appear dimply, lumpy and bumpy. In this skin condition, fat gets deposited under the skin. It mostly appears on thighs, buttocks, arms and occurs after puberty. The other names for cellulite is gynoid lipodystrophy in medical field and an orange peel syndrome, cottage cheese skin, hail damage in the colloquial language. 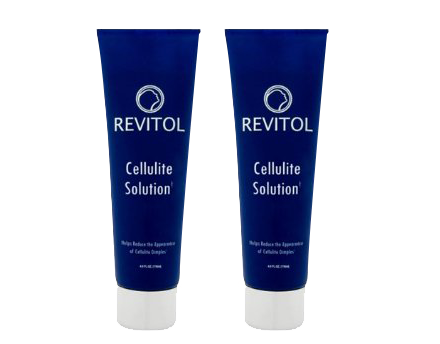 How Revitol Cellulite Cream Ingredients work? Retinol A: It is a derivative of vitamin A and rejuvenates the skin by increasing elasticity and promoting the production and repair of connective tissues. Retinol A is known to penetrate deeper into the cell layers and stimulate the production of collagen: main constituent of your connective tissues. Algae Extract: Algae extract is known for its detoxifying and slimming properties. It also penetrate deep into the tissues and release the trapped toxins from the fat storage cells. The algae work with the L-Carnitine and increase your metabolism and use your resources more efficiently. This, therefore reduces the further fat storage and cellulite is also decreased significantly. L-Carnitine: It is an amino acid and is very important in metabolism. It assist fatty acids to move into the mitochondria of the cells; where they are burned. It works in conjunction with other ingredients to increase your metabolic rates and decrease fat storage above your muscles. Caffeine/Coffee Extract: Caffeine works as a stimulant as well as a vasodilator when it comes of the Revitol cellulite cream ingredients ,which stimulates the breakdown of fat cells and also widens the blood vessels in that area. Caffeine is an anti-oxidant which removes toxins, fat and excess fluid from the body. Topical use of caffeine must be preferred over oral use, as its effects are then concentrated in the affected area. Oral use of caffeine may not be very helpful as it never reaches the targeted area. Shea Butter: Shea butter nourishes and softens the skin. It helps the other ingredients to remove the excess fluids being stored in the tissue layers beneath the skin. Since, it makes your skin healthier, it effectively transports the product deep into the tissues and accelerates the decrease of cellulite. Horsetail Extract: Horsetail Extract contains silica; the very powerful and essential component of the connective tissues. It restores the elasticity of your skin, thereby decreasing the appearance of cellulite. Horsetail has been used for centuries to strengthen nails, hair and reduce the signs of aging in the skin.